It’s a simple concept but, over time, it accomplishes extraordinary things. That’s how legendary investor and stock market guru Warren Buffett has described compound interest, a concept that Albert Einstein called the “eighth wonder of the world.” The idea is simple: If you invest even modest amounts of money at modest rates of interest and leave it invested over long periods of time, it can grow exponentially–since the interest you earn each year is added to your principal, the money grows at an increasing rate. Compounding can also apply to equity investment, although in a slightly different context. Since share prices fluctuate, you don’t have the same assurances that your investment will grow consistently and compound the same way dollars invested in a bank account can. However, you can increase your chances of generating consistent returns and building wealth by focusing on fundamentally sound companies with strong underlying characteristics. It’s easy to see why at Validea we refer to Buffett as the Patient Investor , and created a stock screening model inspired by his investment methodology. This market legend has earned billions by using a strict, conservative philosophy that targets well-established, conservatively financed firms that have decade-long track records of success. You won’t find him jumping to the next big thing, the next “hot” stock. Instead, he invests in simple, well-run businesses and holds onto them for years and years. A similar approach was highlighted by Morgan Stanley in a 2015 paper titled, “The Equity ‘Compounders’: The Value of Compounding in an Uncertain World.” The paper outlines the firm’s research that showed how “compounders”— companies that possess “strong franchise durability, high cash flow generation, low capital intensity, and minimal financial leverage”– have generated “superior risk-adjusted returns across the economic cycle.” The paper goes on to argue that, even in a climate of strong equity performance, compounders still offer attractive valuations relative to their long-term intrinsic value. Further, it asserts that investors in such an environment would be wise to adopt a “back to basics” approach to portfolio management to increase their chances of earning high risk-adjusted returns throughout market ups and downs. Buffett would no doubt agree, particularly since many of the metrics outlined in the Morgan Stanley paper are reminiscent of the characteristics Buffett looks for when evaluating companies for purchase. Product complexity—Buffett likes companies that are easy to understand and that make products everyone needs and uses. Management’s use of retained earnings (total amount of retained earnings for a specified period divided by any gain in earnings-per-share over the same period) reflecting a return of at least 12% and preferably 15%. 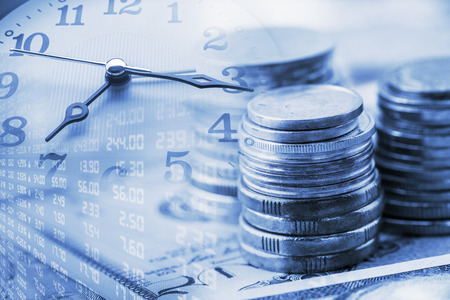 Whether you’re talking about compounding with respect to interest or equity returns, patience is a key common denominator — and one that can be elusive for investors, particularly in this age of endless headlines, financial news casts, alerts and banners.